PHILOSOPHY LOOKS AT CHESS (Open Court, 2008) is a collection of twelve essays each written by a professional philosopher and col lectively edited by Benjamin Hale that explore chess through a lens of philosophi cal thought. The book's format is modeled after, but not included in, Open Court's Pop ular Culture and Philosophy series, which covers a variety of trendy topics such as Bruce Springsteen, iPods, and, to chess players' envy, even poker. So it was no sur prise to read midway through the poignant and sobering essay, "The Reviled Art," about the disdain for chess in American culture, written by International Master and Profes sor Stuart Rachels, that when comparing the profit potential of Philosophy Looks at Chess to books about other cultural topics, "[ ... the publishers] thought it would not sell." Most of the essays in the book vaunt a tech nical approach targeting chess and philosophy cognoscenti, with some even retreating into that dense academic style appreciated only by philosophers. Chess is so complex that, like the human mind, even today's best computer algorithms running on the fastest hardware surrender, at a finite depth after a fixed amount of time, to the endless variations. 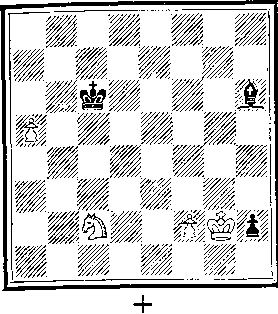 Unless there is a forced win, this complexity results in both humans and computers making subjective decisions every move. It is this subjectivity that ultimately links philosophy a mainstay of rhetoric and debate with strategy and, to some extent, tactics. So, despite four excep tions Bernd Graefrath's unique essay about how retrograde chess analysis relates to epistemology, Ahti Veikko Pietarinen's histor ical survey of major philosophers who have used chess in their work, Deborah Vossen's debate whether or not chess can be defined as a game, and Rachels' piece mentioned above Philosophy Looks at Chess is a study in the subjective methods of chess players; besides these exceptions, every essay touches this idea of subjectivity, some with more distinction and some, unfortunately, with more excessive verbiage than others.